and I don’t care if you don’t like it. Valentines day is a capitalist-oriented event designed for obligatory displays of love between couples and the celebration (or condemnation) of being alone. Don’t get me wrong. I am a hopeless romantic – I love love and I was originally going to tell a cute love story after valentines day but it has been bugging me lately that loving yourself isn’t celebrated in the same way as loving another. It’s always such a scary experience to be told what our perceived ‘flaws’ are. An off-hand remark based on hasty judgements could easily be over-analysed when it concerned our personal character. I have been told a couple of times that I am a slightly selfish person. I remember being very troubled at first that other people thought I had such a huge personality flaw and I became very obsessed with acting ‘selflessly’. It made me very unhappy. My motives weren’t in the right place and I came to the conclusion that selfless simply wasn’t for me. If they wanted to label me selfish because my priorities are different from theirs, then fine. The fact of the matter is, all animals are instinctually concerned with their own survival because that’s a smart thing to do according to science. Survival means potential for reproduction. Potential for reproduction means passing genetics onto offspring and therefore the continuation of a species, yay! That’s favourable. It’s not a very hard concept to grasp but some people seem to believe that by ignoring these instincts, they are morally superior. Selfish is not black and white. Am I selfish because I chose to take the bigger piece of the cookie? Of I selfish because I saved my parents first from a burning apartment building rather than random strangers? Maybe I’m selfish because I value humans over animals by eating meat? Selfishness is an arbitrary word measuring our personal opinion on the ‘most correct’ extension of our sense of self, whether it’s to all living creatures or constricted to me, myself and I. This just shows that ‘selfishness’ is a scale that’s different for everybody and if someone calls you selfish, it says more about them than it does you. With that in mind, I encourage you to be a little bit more selfish in your everyday life. If you don’t want to go out of your way to do someone else a favour? Don’t. As cynical as it sounds, at the end of the day, you’ve the only one who is looking out for you. If you don’t love yourself, who else will? A lover is great, but “happily ever after” is not a guarantee until both of you are dead. Parents can refuse to love their children, marriages break down after decades, friendships end over a silly tiff. Only by loving yourself can you survive the turbulence of existing and be at peace with inevitably leaving this world alone. Now I’m not saying you should cut-off your connections with the rest of the world and go practise self-love in a mountain isolated from civilisation. If you have the privilege of being loved by family, friends or a significant other, cherish it, but remember that you should never make it the basis of your happiness. That will make you a target to be used and discarded. After all, if you don’t love yourself, how do you expect others to? It honestly breaks my heart that so many people in the world hate who they are. Whether that’s the result of the words of one person you can’t forget, the tricks your mind plays or society’s influence in general. Learn self-affirmation, develop your own aspirations, be brave enough to want things for yourself and not for others. It’s your life, live it for you. Change your perspective, detach yourself from other people’s love towards you and appreciate it as a gift they can take away at anytime and then you can equally refuse to accept their hate. 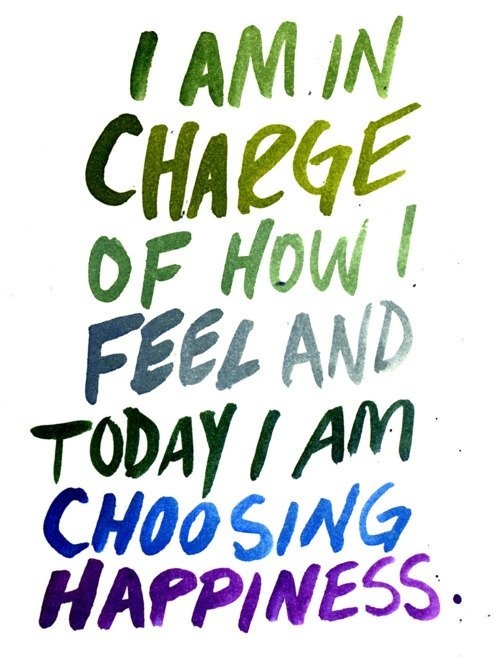 Take charge of your happiness by loving yourself. I am selfish. I am not a saint. I control my happiness and only then I am in a position to bring happiness to the world. p.s. people that have complete disregard for others are not selfish, they’re plain terrible & there’s a difference. Posted on February 18, 2015 September 22, 2018 by maggyPosted in advice, opinionTagged advice, flaws, happiness, love, opinion, rant, self help, self love, selfishness, selflessness, valentines, valentines day. Is being unselfish selfish? Isn’t it true that by being unselfish you are depriving others of the moral high ground and thus being selfish? maybe the best route to deal with that is to simply not exist??? Is not existing selfish? Isn’t it true that by not existing you are depriving others of the right to enjoy your existence and thus being selfish? I feel like we’re going around in circles. I guess the conclusion which is what I was getting at in the main article is that you can’t make everyone happy. Focus on your own happiness rather than worrying about the word selfish!